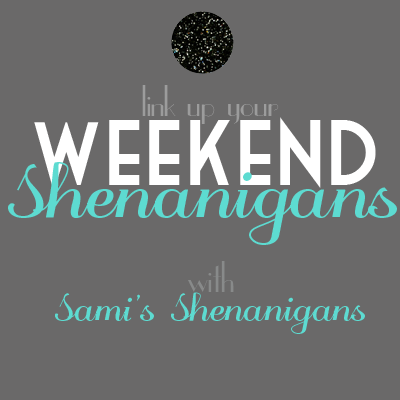 Linking up with Sami for a smashing St Patty's Day/weekend recap! 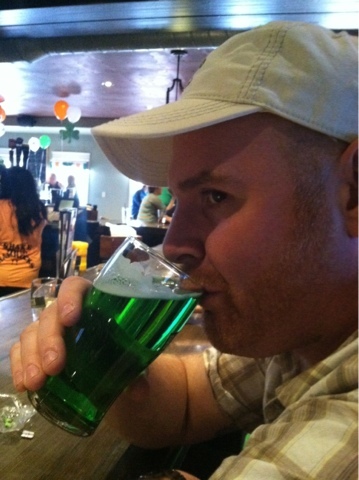 Since the hubs is a ginger and about 80% Irish, he's pretty close to the real deal so this holiday is a celebratory must! He's freckly, has the fighting Irish tattoo and he goes from pale to pink when he has a tan. I worked until 6. Meh. We went out for some well needed sushi and I came home to this little surpise! Gotta love Alex and Ani. Saturday night was a girls night for me and a guys night for Josh. Unfortunately, I don't have any pics from either of these nights. Believe me, your not missing much, other than the 1 am bag o' taco bell that Josh brought home. Sunday morning, I woke up early and when I came back into the bedroom, this. How cute right?! I made green iced coffees and breakfast. We went out shopping and farted around the Christmas tree shop and tj maxx etc. With "no spend March" in effect, this was a waste of time to me! 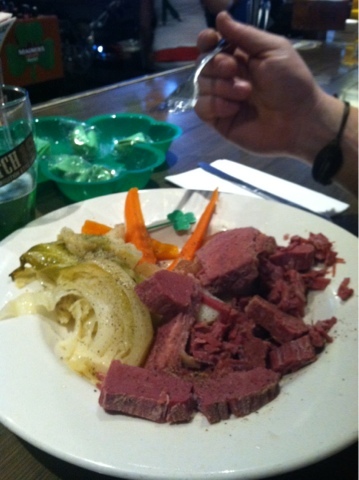 Around 1 pm our St Patty's Day festivities kicked off. 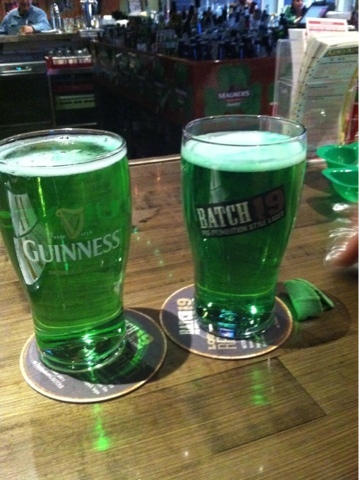 I hope that everyone had a safe St Patty's! Seems like you had a great St. Patty's day! That breakfast looks so fancy and festive! I'm impressed! And that dog+husband in bed picture is melting my heart. I always handle dog pictures well, we know this. Eww. That meat looks like cow tongue. Lol. You guys did much more than we did this weekend. Looked fun! Love that bracelet! Looks like you guys had an awesome weekend. That breakfast is looking pretty damn fancy. How the hell do you make an omelet so perfect. Mine come out terrible. 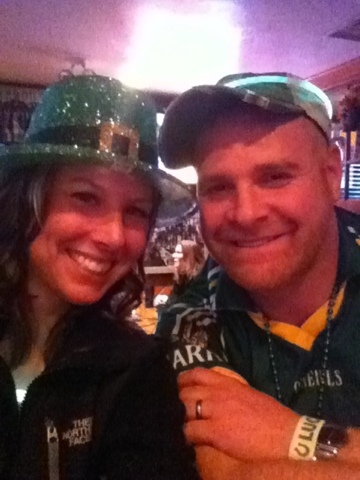 My hubs is about 80 percent irish, too! 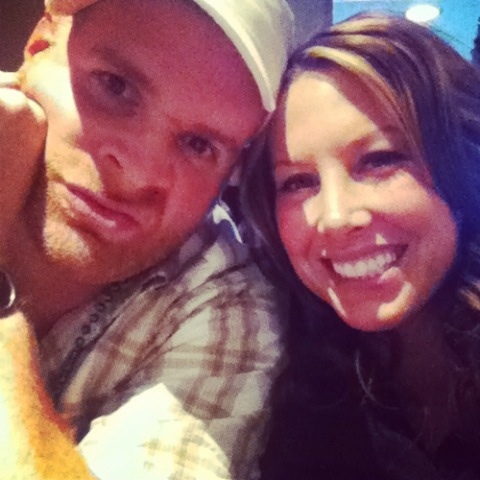 He goes cray cray for St Patty's day!